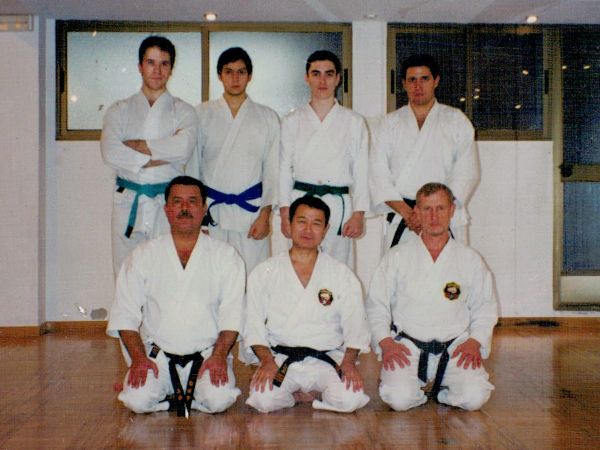 In Madrid, during February 1998 (one week), we were honoured by the visit of Soke Takayoshi Nagamine and Shigehide Akamine Sensei. This visit was very important for us and we will always remember it. We very much thank Toshihiro Oshiro Sensei for the visit he made us (4 days) during November, 2002. 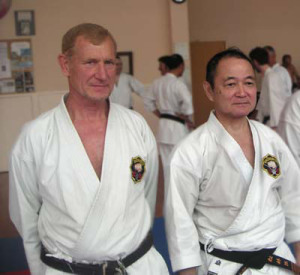 We very much thank Jose Martin Garcia Haccelvrink Sensei for the visit he made us towards the end of 2009. At present, we continue maintaining a fluid and warm communication with him. We thank Joche Zapata Sensei for the visit he made us during May 2010. 2016: Our most sincere gratitude to Salvador Herraiz Sensei for the consideration he gave us in his book “Historia del Karate en España” (History of Karate in Spain).